A great way to have a flower centerpiece that last forever is by using artificial flowers. Artificial Flower Centerpieces can be just as beautiful as real flowers. 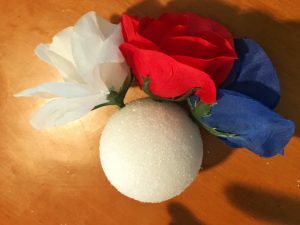 A couple years ago, I learned about putting fake flowers into a Styrofoam ball and sitting the ball on top of a vase. 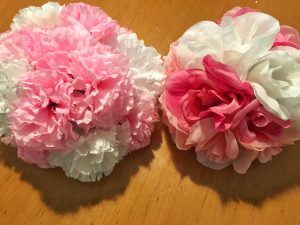 It’s easy to make and saves you a LOT of money by not buying real flowers for your centerpieces. 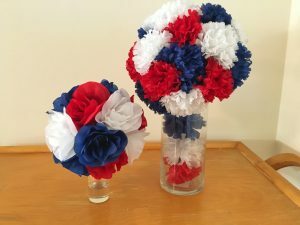 You can make them in any color, they work well for weddings, parties, or just to have around the house. 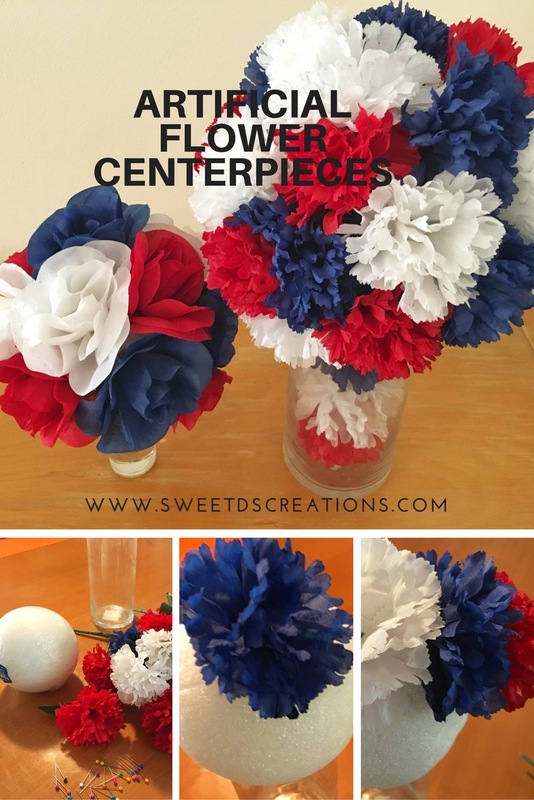 You can also adjust the size of centerpiece based on the size of the styrofoam. 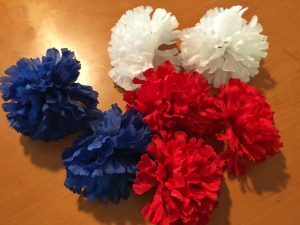 For this particular time, I used red, white and blue flowers that I picked up from The Dollar Tree. 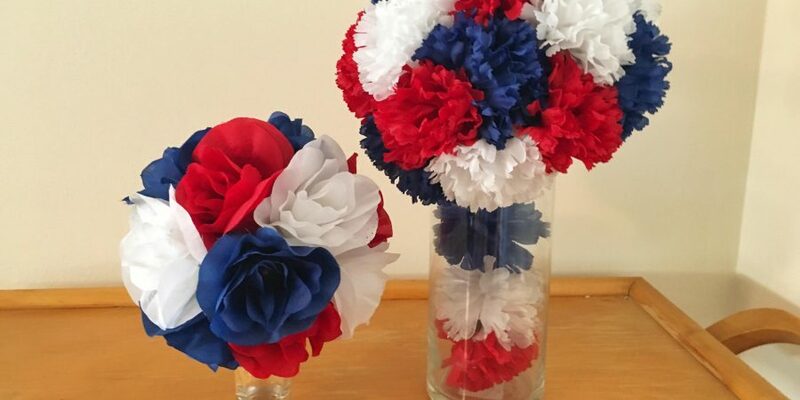 Theses colors below (red, white, and blue) make for great 4th of July centerpieces. 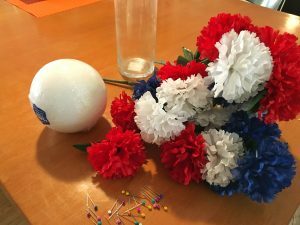 The styrofoam balls are sold at any craft store, Amazon or Wal-Mart. Just be careful not to poke yourself while assembling the centerpiece. 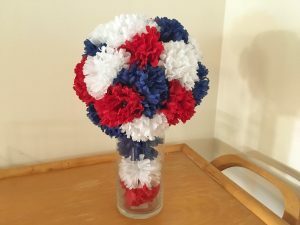 Vase or container to sit the styrofoam ball on. 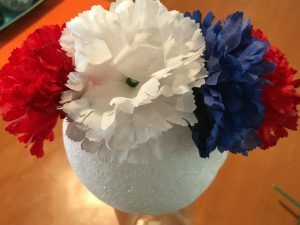 Candle, additional flowers, rocks to decorate inside the vase (optional). 3. Stick into styrofoam. 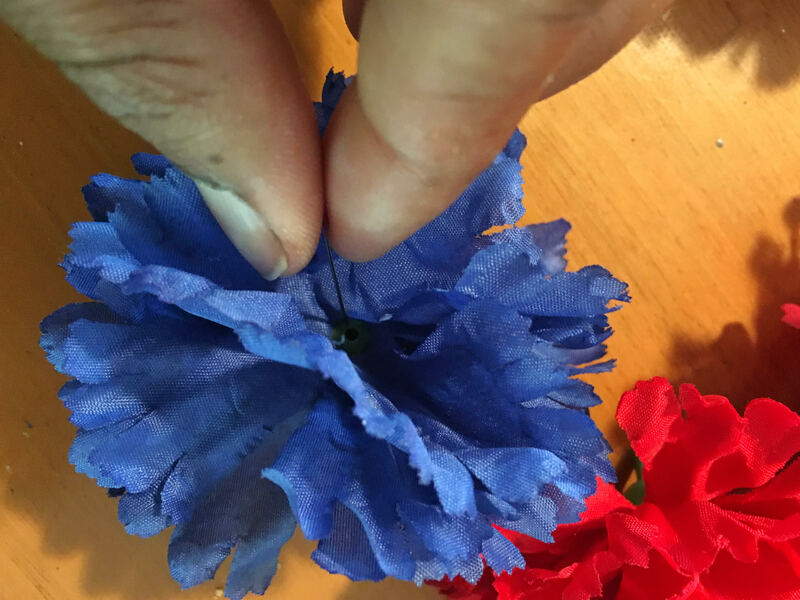 Press down hard to ensure flower doesn’t fall off. 4. Repeat steps 2 and 3 until styrofoam is covered. Leave small space at the bottom that is the size of the vase opening empty. Side Note: If using multiple colors, try following a pattern to make arrangement look nice. Example, I started int he middle all the way around and did: Red, White, Blue. I also made a flower design using a 2 inch styrofoam ball and placed it on top of a double shot glass.